After her figure caught on camera as it crosses highway in Noida, India some time ago, Suzuki finally unveil the figure of Suzuki Gixxer 150. 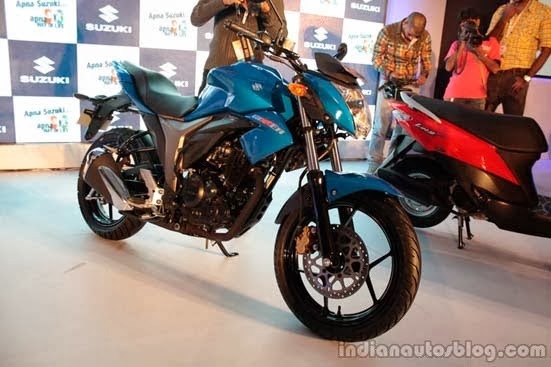 Motor sport 150 cc Suzuki's latest plan will be officially introduced at the Delhi Auto Show 2014, which will begin to take place in February 2014. His figure looks solid and aggressive style naked bike with tapered tip at the stern, otherwise it seem the front suspension uses telescopic models and rear using the mono shock models. Reportedly Suzuki will equip Gixxer with framework which is a bit stiff but light enough in its class. Even more interesting, the flue gas duct (exhaust) of Suzuki Gixxer 150 is similar in design owned big motor with a model half-muffler with two holes, while on the seat made ​​together. 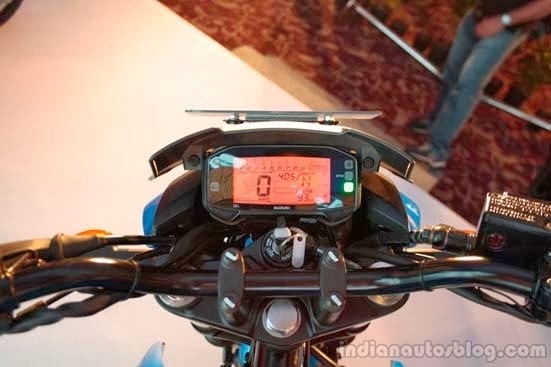 From the photos released by Indianautoblog.com, in the instrument panel Suzuki Gixxer 150 completely digital. As for the engine, Suzuki equip Gixxer 150 with engine capacity of 150 cc, single cylinder, 4 valve, air-cooled juxtaposed with a 6 speed manual transmission capable of producing power 13.8 bhp and torque of 13.4 Nm. The engine is still using the a carburetor fuel system. 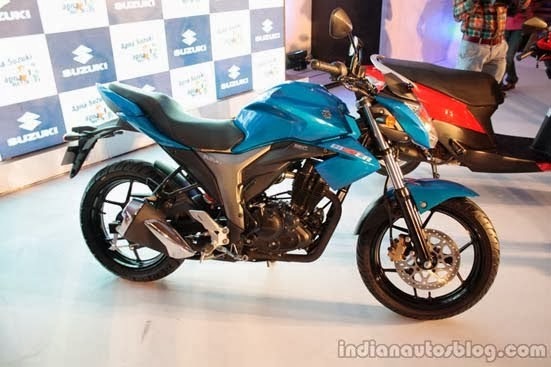 The presence Suzuki Gixxer150 will be the flagship product Suzuki in 150cc segment who claimed to have reliable performance and a fuel consumption most economical in its class. 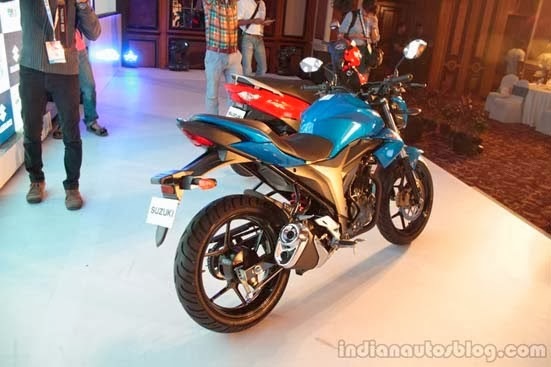 The plan Suzuki will begin marketing the Gixxer 150 in August 2014.